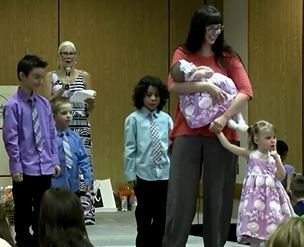 The first annual Mommy and Me Fashion show, hosted by the Butterfly Boutique, took place on Saturday Aril 17th. The Prince George Elizabeth Fry Society would like to extend a huge thank you to all the people who made this day so successful. This event would not have been possible without the support of the community, the fashion show sponsors and donors, the volunteers, all of our beautiful models, and our host, the Butterfly Boutique. All money raised will support programs at the Elizabeth Fry Society. We are all looking forward to next year’s show!